United Cutlery Silent Attack Assisted Opening Pocket Knife | BUDK.com - Knives & Swords At The Lowest Prices! You get what you pay for....cheap knife. It showed up with a burr on the blade and after running it through the sharpener a handful of times, I thought it was better. Then as I was showing it to my fiance, it slipped out of my hand and hit the floor and bent the tip. After trying to bend it back into shape, the tip snapped off. 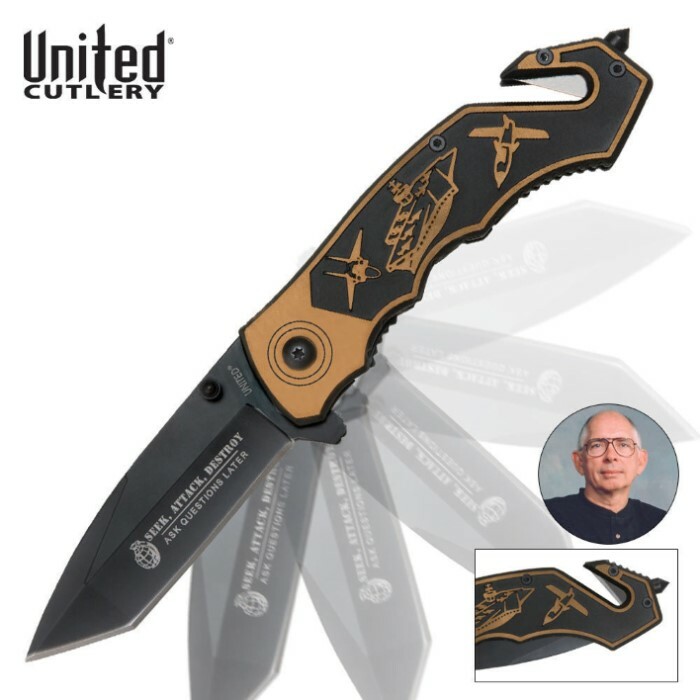 This is truly a CHEAP knife. Save yourself the hassle and spend a little more for a quality product.